Watch out, Toyota, Nissan, and Mitsubishi. Fellow Asian car company Hyundai is gunning for the growing electric vehicle market with an EV of its own. Dubbed the BlueOn, Hyundai’s entrant in the all-electric market will have a maximum speed of 80.6 mph, travel 87 miles on a single charge, and fill its battery to 80% capacity in 25 minutes using a 380-volt fast-charge station. Just one catch: the vehicle will only be sold in South Korea. Next month, Hyundai will deliver 30 prototypes of the vehicle to various South Korean governmental organizations. If all goes well, the company will make a mass market push. 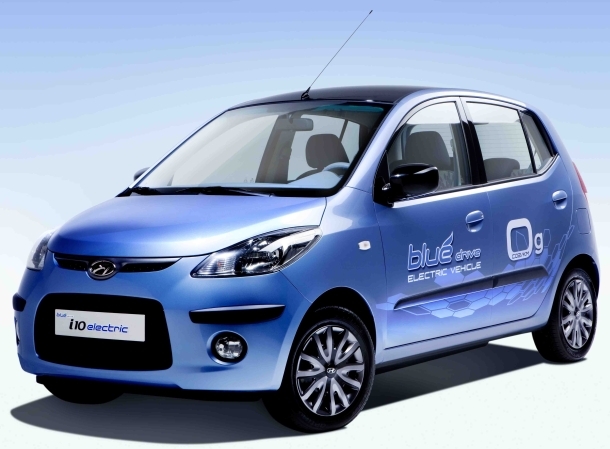 It hopes to deliver 2,500 BlueOns by 2012. The BlueOn’s rival cars — Toyota Prius, Nissan Leaf, and Mitsubishi i-MiEV — should all be standing tall in the U.S. market by then (the Prius already is, of course). A Hyundai spokeswoman told the Associated Press that it was “too early too discuss potential export markets at the moment.” But the car company would be wise to consider the U.S. in the coming years, especially since electric vehicle charge company Ecotality plans to install 15,000 charging stations in 16 cities by next summer. Once that happens, the U.S. will have multiple EV-ready highways just waiting for eager car companies to show off their wares.